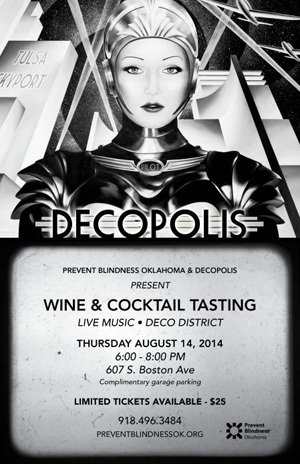 Prevent Blindness Oklahoma (PBO) and Decopolis present a wine and cocktail tasting to benefit PBO. In addition to the delicious drinks, guests will enjoy live music, light hors d’oeuvres and shopping at Decopolis in the Art Deco District from 6pm-8pm on August 14. Complimentary attached garage parking is available as well as street parking. Limited tickets are available for $25. 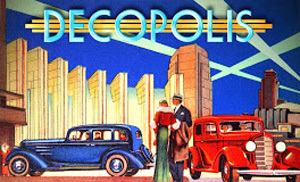 Decopolis is an emporium in downtown Tulsa featuring books and deco to retro inspired gifts and toys in imaginatively themed departments located at 607 S Boston Ave, Tulsa, OK, 74119. PBO wouldn’t be able to make the impact it does without the help of volunteers and the community. The nonprofit screened a record-breaking 344,540 children during the 2013-2014 school year. Of those, more than 41,000 kids were referred to eye care professionals for follow-up screenings. PBO will screen its three-millionth child this year. PBO uses a variety of screening processes, but the newest is the SPOT Screening Machine. SPOT is a breakthrough device that quickly and easily detects potential vision issues as early as six months of age. It’s especially beneficial for use on pre-verbal children or those with disabilities, who may not be able to stand, cover one eye to read eye charts or follow physical commands like looking left and right. 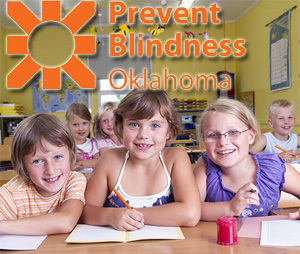 Prevent Blindness Oklahoma is a non-profit, volunteer organization dedicated to preserving sight and preventing blindness. Established in 1965, PBO begins its 49th year of providing free vision screening to children and families in all 77 counties. During the 2013-2014 school year, Prevent Blindness Oklahoma provided free screenings to over 340,000 Oklahoma children. PBO relies mainly on grants and private donations to provide these services and does not receive any state, federal or United Way funding. To find out more about Prevent Blindness Oklahoma, please call 405-848-7123 or on Facebook here or on twitter here or visit our online site here www.preventblindnessok.org. This entry was posted in Out & About on July 31, 2014 by admin.